This past weekend, we covered John 9 where Jesus healed a man who was born blind. The lesson out of this powerful story was simple: Jesus has the power to change anyone. That’s an easy topic to talk about, so long as someone else is making the changes, right? One of the easiest ways to tick someone off is to tell them they need to change. And I get it. Most of us hate to admit we’re wrong and being told we need to change is just another way of saying something is wrong with us. In fact, Jesus’ disciples made this connection between “change” and “wrong” as well. My guess is they fully expected their Master to change this man’s life by healing his blindness. We see them casually turn to Jesus and ask Him who had sinned to bring about this problem needing change–the man or his parents (verse 2). The disciples’ question was very natural because, in their culture, blindness was considered a punishment for sins. In their minds, someone must have been wrong somewhere. It makes sense if you think about it: our eyesight usually diminishes as we collect more years (and sins). I don’t know about you, but having that little nugget of cultural history makes it even more amazing to me that Jesus, the one who paid the price our sins deserve, seemed to give special attention to healing people of their blindness (nine people). Within that culture, addressing blindness was to address sin itself. Jesus used His disciples’ question as a teaching moment. Notice His response in verse three, explaining that this man’s blindness wasn’t about the right or wrong in his or his parents’ life but rather how God could be glorified through the change he was about to encounter through Jesus. And yet it’s still so easy to get stuck on being and doing right or wrong. Some people seem to have made it a life goal to prove themselves right every chance they get. Being right has authority and power. Except every one of us is still wrong on a lot of things, even as we try to excuse and dismiss them. We all have sin and so if life was about how right we can be, none of us stand a chance. Jesus’ lesson here was completely counter-cultural then and still is today. Changing ourselves isn’t about what we’ve done wrong but rather worshiping what is right and seeking to draw as close as we can to that. This is a game changer for how we see the world and interact with ourselves, our family, neighbors, and our Creator. If our goal is to be right all the time, we will spend most of our time just trying to prove a point. But if our goal is to consider how we can change to become more like Jesus, trusting Him more and giving Him more control of our lives, a lot of amazing things tend to happen. Every one of us is constantly changing throughout our lives, even if we don’t see it happening in the moment. It’s similar to hiking through the wilderness. You think you’re going straight until you realize that you took a wrong step somewhere and have been going in a different trajectory than what you thought you were on. 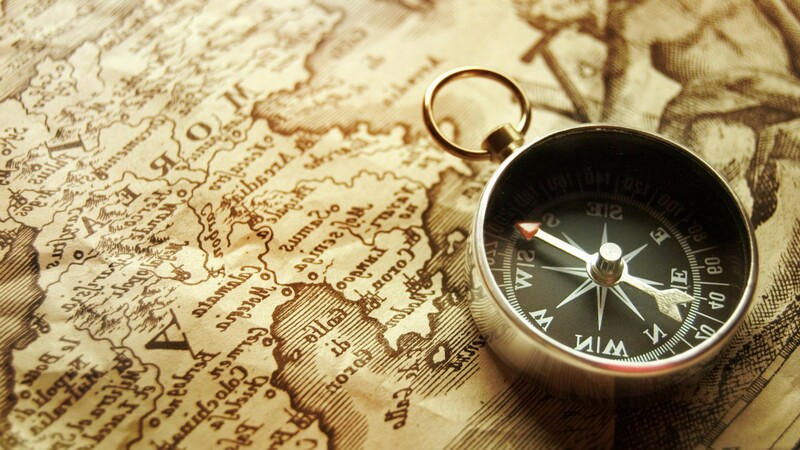 The most experienced hikers, however, carry a compass. It’s an act of humility if you think about it. Despite their expertise, they’re admitting a vulnerability to getting sidetracked, and they’re giving themselves a way to constantly reorient themselves to true north. To be a Christ follower means to see Christ as our True North. He is the direction we are headed, even when it’s awkward or confusing. We have to admit our vulnerability to getting sidetracked when left to our own emotions and ideas. We have to be willing to change– even eager to change– because it is our most sincere form of worship. Following Jesus means we have changed course from where we were going. We’ve repented and have the continual mindset of repentance, which literally just means to change. Some might get offended to learn that the first word out of Jesus’ mouth when He began His public ministry was– you guessed it– “Repent” (Matthew 4:17). We’ve turned that into a dirty word but it should be beautiful to us because of what it represents: trust, love, and worship of something other than ourselves. If you notice, each time Jesus called someone to follow Him, He didn’t end with, “… and hey, you can just keep doing what you’re doing.” He expected them to change what they were doing: drop your nets, get up, let go of your way because that’s the only way you’ll see that my way is better. Let’s ask the Lord to help us see repentance (change) differently– not as a slap in the face but an open opportunity to trust and love the Object of our worship. None of us can follow Him without it. As always, well said Kyle! Great point – love the hike comparison.